Every year, when the first berries of the season make their appearance at the market, I go overboard. I can’t help but buying more than S and I can eat. 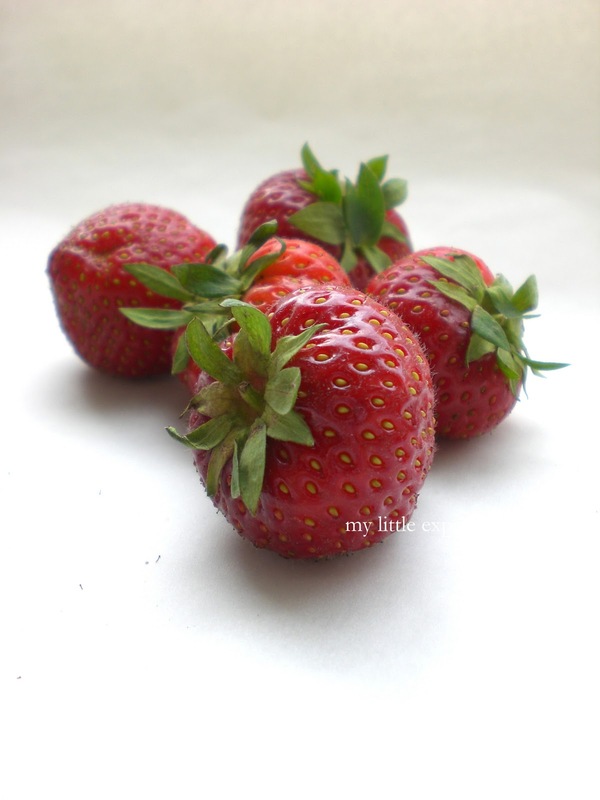 I’m dazzled by their color and aroma, and enjoying them just as they are, in all their freshness, dripping with sweet juices, is the ideal for me. Getting the full flavor of each one, flavors that I have missed for so long, is a pleasurable experience and it marks the official arrival of spring. 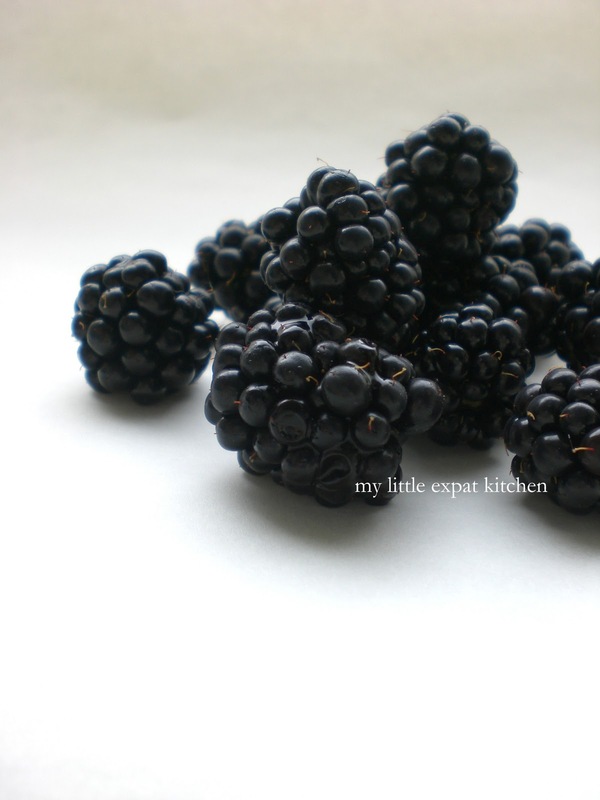 These past couple of weeks, I made a tart with raspberries and blackberry tiny cakes. 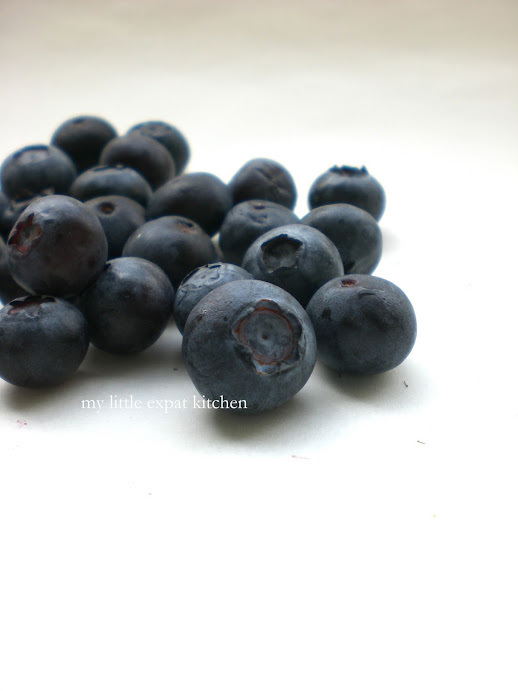 I also made my favorite blueberry muffins and then, after my last trip to the market when I came home with a bagful of berries, I decided to go all out and make a fresh berry puff pastry tart. I thawed the homemade puff pastry I had sitting in the freezer, sprinkled it with caster sugar and baked it until it was all golden and puffed up. I whipped up some mascarpone with vanilla seeds and slathered it on top of the crispy pastry. I gathered my fruits, arranged them neatly over the cream and finally, I sprinkled the whole lot with icing sugar. It was a delight. Buttery, fresh, indulgent yet clean, juicy and creamy all at the same time. 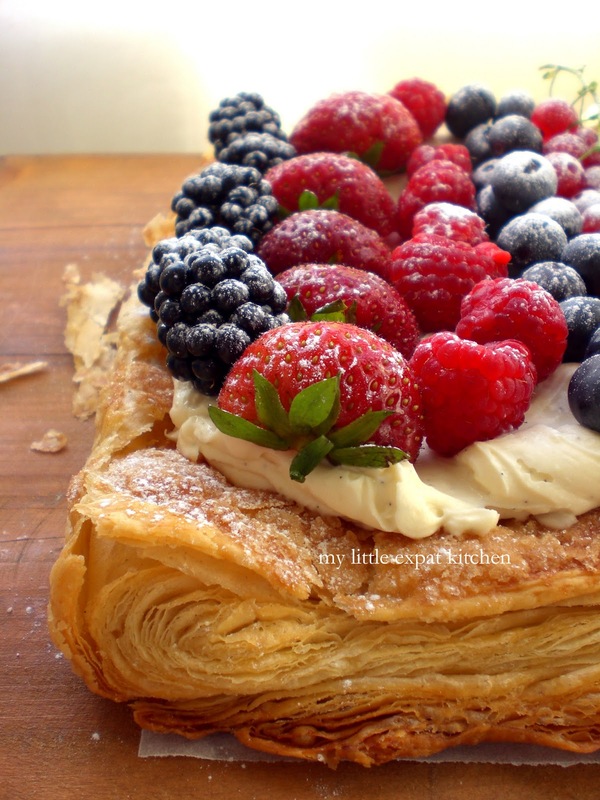 Buttery crispiness from the puff pastry, creamy aromatic mascarpone, supple fresh fruits with textures and colors filling my mouth. Sweet but not overly so, with the sweet and tart flavor of the fruits; strawberries, raspberries, blackberries, blueberries, redcurrants. All glistening and oh so tempting. 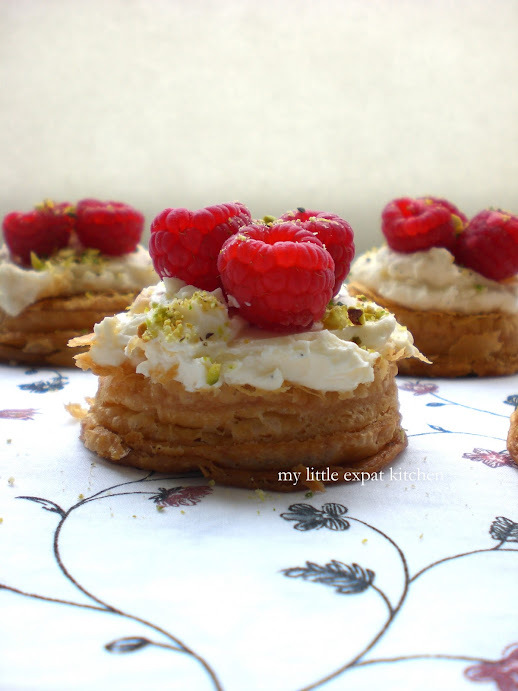 But I didn’t stop there, I had some extra puff pastry and raspberries, and thought of making some cute little tartlets, no more than three-bites each. I topped the small puff pastry circles with mascarpone, raspberries and some finely chopped pistachios—what a combination—and that added crunchy texture of the nuts was simply wonderful. I used homemade French puff pastry but you can certainly use store-bought, just make sure it’s made with butter. Whichever kind of puff pastry you use, make sure to thaw it properly. Remove it from the freezer and place it in the fridge 24 hours before using it. If you’re using homemade puff pastry, dust a clean work surface and the top of the dough with a little flour and using a rolling pin, roll it out into an approximately 25 x 30 cm rectangle with a thickness of 0.3-0.4 cm. 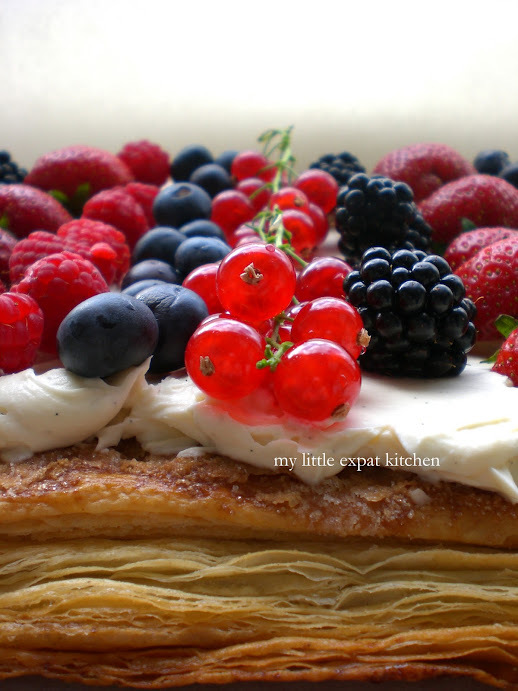 The thickness of the puff pastry is important because it determines the baking time. Trim off the edges of the dough and prick it all over with a fork. This will prevent it from rising too much. Place the rolled out dough onto a piece of baking paper and onto your baking sheet. Cover with plastic wrap and place it in the refrigerator. Preheat your oven 185-190 degrees Celsius / 365-375 Fahrenheit. Take the baking sheet out of the fridge, brush the dough with some of the beaten egg and sprinkle it with 2 Tbsp caster sugar. Place the baking sheet straight in the preheated oven, on the low rack, and bake the puff pastry for 10 minutes. Then transfer it to the middle rack and bake for 15-20 minutes, until it has puffed and taken on a golden-brown color. Be careful not to burn it. In the meantime, in a medium-sized bowl, add the mascarpone, scraped vanilla seeds or paste and 2 Tbsp caster sugar and beat with a hand-held mixer until you have a creamy and smooth mixture. Remove the puff pastry from the oven and allow it to cool. 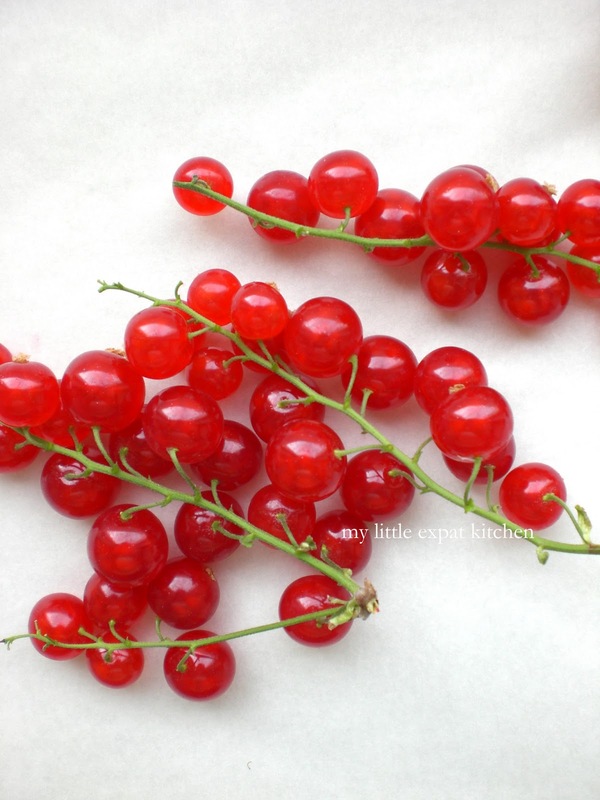 Rinse the berries and dry them with paper towels. Once the puff pastry has cooled, cover it with the vanilla mascarpone, using a small offset spatula. 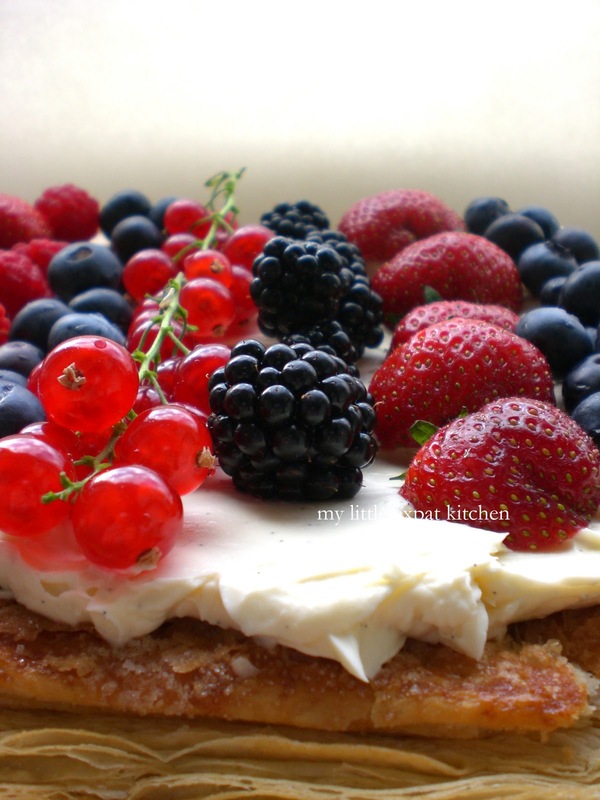 Cover with the berries and sprinkle with icing sugar. 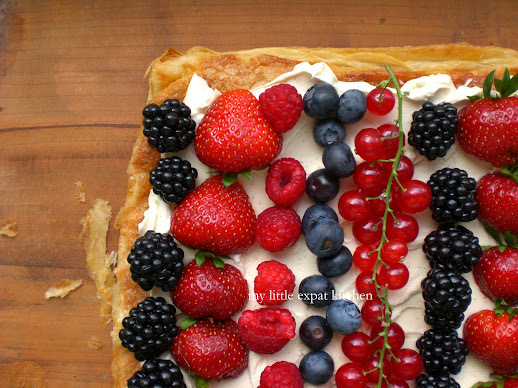 Serve your tart immediately, cut into pieces. If you have some left-over puff pastry, mascarpone and berries, make these little tartlets. Roll out your puff pastry to a thickness of 0.3-0.4 cm and using a round cookie cutter (7.5 cm in diameter), cut circles of dough. Prick them all over with a fork so they don’t puff up a lot during baking. Place pastry circles onto a baking paper-lined baking sheet and bake them on the middle rack of a preheated oven at 180 degrees Celsius / 360 Fahrenheit for 20 minutes, rotating the baking sheet midway through to ensure even cooking, until they have taken on a golden-brown color and have puffed up. Take the pan out of the oven and allow the puff pastry to cool. Once the puff pastry circles have cooled, cover them with vanilla mascarpone cream, using a small offset spatula. Cover with 2-3 raspberries or any other berries you have on hand and add the chopped pistachios on top. Magda - these all look wonderful. What a perfect way to showcase the season's freshest and most delicious fruit! Stunning Magda! I love how the red currents catch the light and look as if they are glowing. Love the addition of pistachios to the mix. I still cannot get over that close up shot of the beautiful puff pastry and berries!!! I still cannot get over the beauty of your homemade puff pastry. I'm impressed. such a beautiful post! This is the type of cooking which speaks to me now - simple and seasonal! Love! These are quite pretty and very delicate looking. 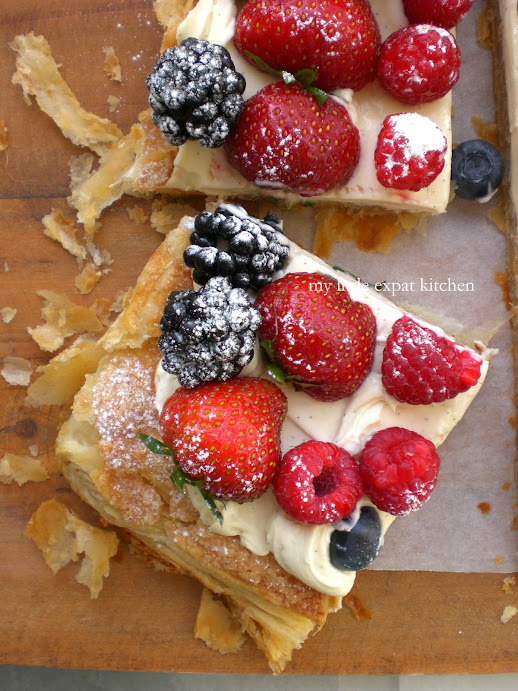 A perfect use of all the early berries that are very irresistible. Wow that puff pastry raised beautifully! 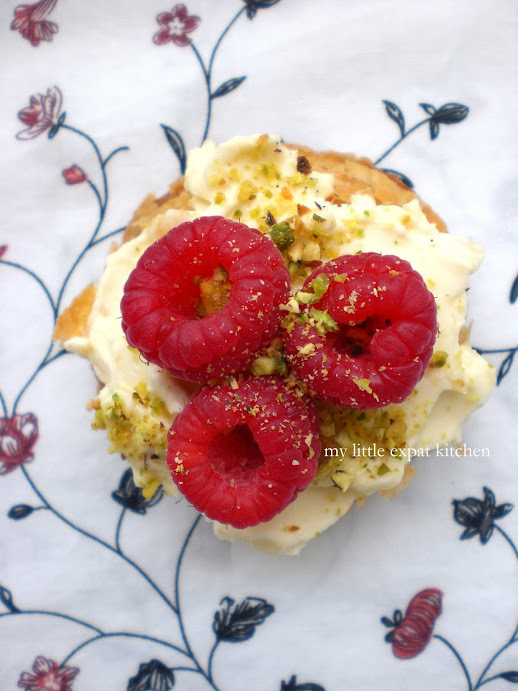 Your photographs are beautiful, particularly the ones with raspberries and pistachios - truly mouthwatering. If you score a border before cooking makes a great frame. Hi Marisha. How will you feature it? What is the address of your blog? I cheated and used phyllo pastry sheets but your recipe was a big hit today! And such a pretty homemade dessert, our friends thought we had bought. Both my girls helped finish it, so a family effort too. Definitely going to make again. Thank you for sharing! I cheated and used Phyllo pastry sheets but your recipe was great. Such pretty desserts that our friends thought we store bought. Both my girls helped finish too so family effort. Definitely making soon again! Thank you for sharing! Thank you Suz, so glad you enjoyed it! 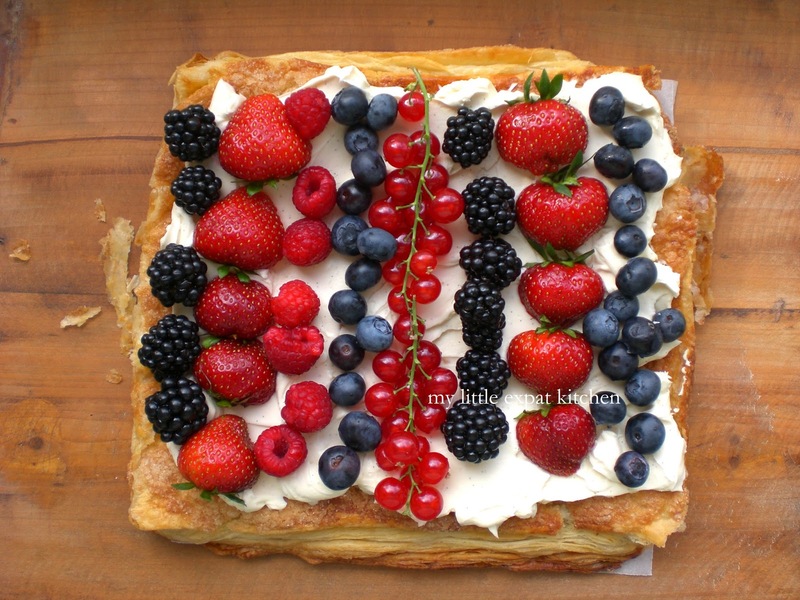 And what a great idea to use phyllo.